In 1531 the Puritan preacher, Thomas Eliot, argued that football caused "beastly fury and extreme violence". In 1572 the Bishop of Rochester demanded a new campaign to suppress this "evil game". In his book, Anatomy of Abuses (1583) Philip Stubbs argued that "football playing and other devilish pastimes.. withdraweth us from godliness, either upon the Sabbath or any other day." Stubbs was also concerned about the injuries that were taking place: "sometimes their necks are broken, sometimes their backs, sometimes their legs, sometimes their arms, sometimes one part is thrust out of joint, sometimes the noses gush out with blood... Football encourages envy and hatred... sometimes fighting, murder and a great loss of blood." The records show that young men refused to accept the banning of football. In 1589, Hugh Case and William Shurlock were fined 2s for playing football in St. Werburgh's cemetery during the vicar's sermon. Ten years later a group of men in a village in Essex were fined for playing football on a Sunday. Other prosecutions took place in Richmond, Bedford, Thirsk and Guisborough. Attitudes towards football began to change in the 19th century. Thomas Arnold, who was appointed headmaster of Rugby in 1828, emphasized the importance of sport in young men's education. Like most headteachers in public schools, Arnold believed that sport was a good method for "encouraging senior boys to exercise responsible authority on behalf of the staff". 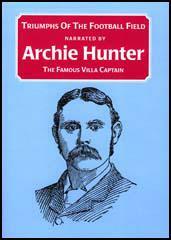 He also argued that games like football provided a "formidable vehicle for character building". Everton were founded during November 1879 when the St. Domingo's Church held a meeting at the Queen's Head Hotel, Village Street. They already had a cricket team but wanted to find another sport for the winter month. The St. Domingo team played in Stanley Park and won their first game, against St Peter's Church. The following year the club were renamed Everton F.C. after the surrounding area. Arthur Connell was the rector of St Mark's Church in West Gorton in Manchester. There was a great deal of unemployment in the area and in January 1879 Connell set up a soup kitchen and a relief fund for the local poor. In its first week over 1,500 gallons of soup, 1,000 loaves of bread and 10 tons of coal had been distributed by Connell and his helpers. His daughter, Anna Connell, also became involved in helping this community. She believed that the creation of male clubs would help improve the community spirit. This included the creation of the St. Marks Church football team. This team was eventually renamed as Manchester City. Other football clubs that owed their origins to religious organizations include Aston Villa, Bolton Wanderers, Birmingham City, Southampton and Tottenham Hotspur. Those who wished to encourage sporting activity among working people, the ex-public-school men keen to tackle the problems of industrial Britain, needed a point of entry to a social world which was often distant and generally alien. One of the most useful means of approaching working-class life was via the Church, of all denominations. Of course among many of the clergy belief in athleticism was almost as striking as their belief in God (one prominent headmaster had said, "the Laws of physical well-being are the laws of God"). Few doubted the needs for large-scale recreation as part of the Churches' solution to the nation's ills. Clergymen seized on football as an ideal way of combating urban degeneracy. Robust games could, they believed, bring strength, health and a host of qualities badly needed by deprived working people - especially the young. As a result, working-class churches began to spawn football teams in the years immediately following the concession of free Saturday afternoons in local industries. Liverpool, which before the turn of the century was to establish itself as the footballing centre of England, was later than other cities in turning to the game, but when, in 1878, local teams began to form, they sprang most notably from churches, headed by St Domingo's, St Peter's, Everton United Church and St Mary's, Kirkdale. As late as 1885, twenty-five of the 112 football clubs in Liverpool had religious connections. Similar patterns emerged in other cities. In Birmingham in 1880, eighty-three of the 344 clubs (some twenty-four per cent) were connected to churches. Indeed many of today's famous clubs began life as church teams. Aston Villa originated in 1874 from members of the Villa Cross Wesleyan Chapel who already played cricket but wanted a winter sport. Birmingham City began life as Small Heath Alliance, organized by members of Trinity Church in 1875. Some years before, pupils and teachers of Christ Church, Bolton, formed a football club. In 1887 they took the name Bolton Wanderers. Blackpool FC emerged from an older team based on the local St John's Church. Similarly, Everton started life in 1878 as St Domingo's Church Sunday School (and later produced an offshoot which became Liverpool FC). In 1880 men at St Andrew's Sunday School, West Kensington, organized a football team which later became Fulham FC. Members of the young men's association at St Mary's Church, Southampton, formed a team in 1885, changing the name to that of the present professional club in 1897. In Swindon, the local football team owed its origins to the work of the Revd W. Pitt in 1881. A year later members of the Burnley YMCA turned to football. Boys at St Luke's Church, Blakenhall, formed a football team in 1877, later taking the name Wolverhampton Wanderers. These surviving professional teams constitute only a small minority of the thousands of teams founded in the 1870s and 1880s from church organisations (often with the local vicar or curate as a player). "I believe that all right-minded people have good reason to thank God for the great progress of this popular national game." Those words were spoken by the legendary Lord Arthur Kinnaird, the holder of the still unbeaten record of nine FA Cup Final appearances and the longest serving chairman in the FAs history. Kinnaird, one of the leading Christian figures of the late Victorian era, would not have spoken those words lightly. As one of the pioneers at the forefront of football's amazing development from an amateur sport played by a small number of well-to-do enthusiasts to the country's national game enjoyed by countless thousands, he was able to look back with gratitude on all that had been achieved and thank God for it. Remarkably, of the 39 clubs that have played in the FA Premier League since its inception in the 1992-93 season, 12 also have good reason to take Lord Kinnaird's words to heart - they owe their very existence to churches. But these same clubs know very little about the circumstances that led to their birth or the people involved. This is hardly surprising in view of the fact that church teams, when they started, were the equivalent of today's public parks teams and did not keep extensive records of their activities. How could they possibly have guessed that one day they would become famous and that details about their founders, match results, players' records, minutes of early meetings, etc., would be of enormous interest to thousands of their future supporters? Furthermore, much of the limited source material that was once available has since been irretrievably lost through fire or neglect. Photographs of many faces stare down at Peter Lupson as he works in the study of his home near the Wirral. Some are of his family. 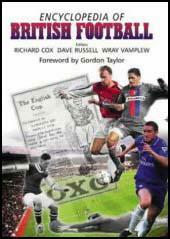 Others belong to people long dead who have nevertheless loomed large in his life as he has spent the last 11 years writing a book which offers English football an opportunity to examine its soul. These grainy black-and-white reproductions of Victorian visages are nothing less than a gallery of the game's founding fathers, to whom Lupson's recently published Thank God for Football (Azure, £9.99) pays painstaking tribute. In researching his work, this 61-year-old languages teacher has established that 12 of the 38 clubs which have played in the Premier League can trace their origin directly back to churches or chapels. He has also traced the lives of those responsible for starting the teams, in the case of six of them, all the way to their graves, which he has located in various stages of disrepair. Last month, Tottenham Hotspur, having been alerted to the fact that their originator, John Ripsher, lay in a pauper's grave in Dover, became the first of those six clubs to honour their beginnings, setting up a smart new headstone which acknowledges the role played by this former bible class teacher from All Hallows Church. Other clubs mobilising to spruce up their founders' resting places include Blackburn Rovers, Bolton Wanderers, Manchester City and Swindon Town, while Everton have just been alerted to the current whereabouts of Benjamin Swift Chambers, responsible for their creation as St Domingo FC. Honouring graves is one thing; honouring ideals another. It is Lupson's fond hope, nevertheless, that these acts of piety may yet prompt football's influential figures to reconsider some of the principles which inspired the graves' inhabitants. The teams in question were instituted in the spirit of "muscular Christianity", a concept that was developed in the latter half of the nineteenth century which emphasised the importance of serving others and striving in a physical sense as part of the Christian's duty. Fostered in public schools, and popularised in Thomas Hughes' 1857 book Tom Brown's Schooldays, this ideal was instilled in a generation of young clergymen who emerged from universities and took up positions in urban communities where working men were in danger of being lost in a mire of poverty, drunkenness and gang violence. In Tottenham, in Fulham, in Southampton, in Swindon, in Everton, in Bolton, in Manchester it was time to "play up and play the game". "There were four key ingredients of character which it was believed the games field could develop," Lupson says. "Courage – which they called 'pluck', not ducking the hard challenge – fair play, unselfishness – you played for the team – and self-control. So football was seen very early on as a moral agent." Thus, when a new rector arrived at St Mark's, in West Gorton, Manchester, in 1879, he encouraged his 27-year-old daughter, Anna Connell, to take on her own hard challenge. "At that time, West Gorton was an area of tremendous deprivation," Lupson says. "There was overcrowding, squalor, poor sanitation and poverty, and the ways in which the men of the community sought refuge from this was drink and gang warfare, which was called 'scuttling' in that era. "We are talking about 500 people at a time involved in fighting. The local press reported 250-a-side – we are talking about warfare. Anna was grieved by seeing these men live such wasted lives and wanted to do something for them that could reverse the direction they were going in." Miss Connell knocked on every door in the parish – by Lupson's estimation, that meant 1000 doors – to spread word of the weekly working men's club she was setting up in the parish hall. The first week, three people turned up. But soon, with the help of two churchwardens who worked at the local ironworks, that number became 100. Playing sport was a natural adjunct to other activities such as singing, discussion and bible recitations. That meant, in the first instance, cricket. But soon the men wanted to keep fit in the winter for their cricket, and decided to do so through football. "They called themselves St Mark's West Gorton FC," Lupson says. " Anna's father, Arthur, was the first president, and that club exists today because of Anna Connell knocking on all those doors and not giving up, and it's called Manchester City."